The rich mahogany background of this painting is typical of Max’s still life work of a few decades ago. He did several paintings featuring food–maybe sustenance is a better word. This crusty loaf needs no accompaniment but a swig from the pewter jug beside it. 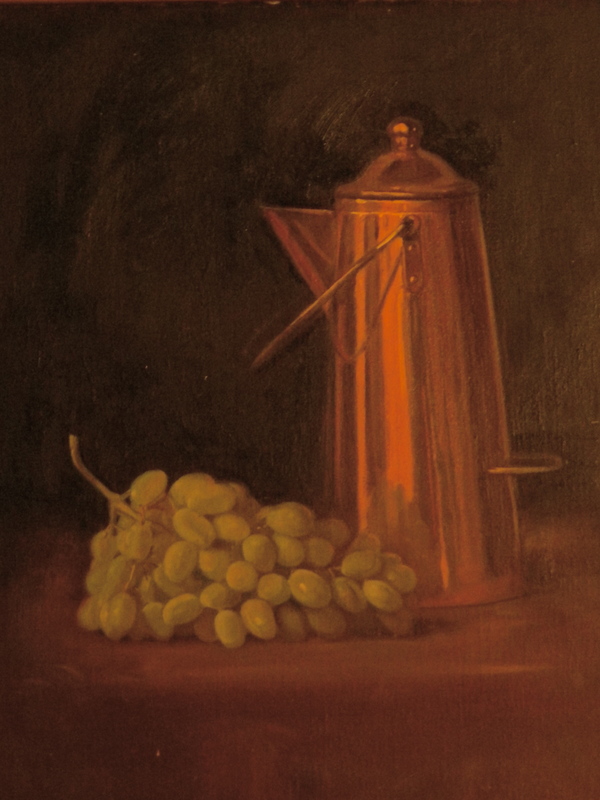 The grapes and copper pot below offer another example of Max’s work from this period. Like all professional artists, Max makes a lot of sketches. In this one, he tries to tackle the problem of all that green. He must have liked the result because he signed it in the lower right. In dry, hot days like these in the Midwest, it’s good to remember that winter will indeed return. If you live in a climate with four seasons, you know that snow is every color but white. 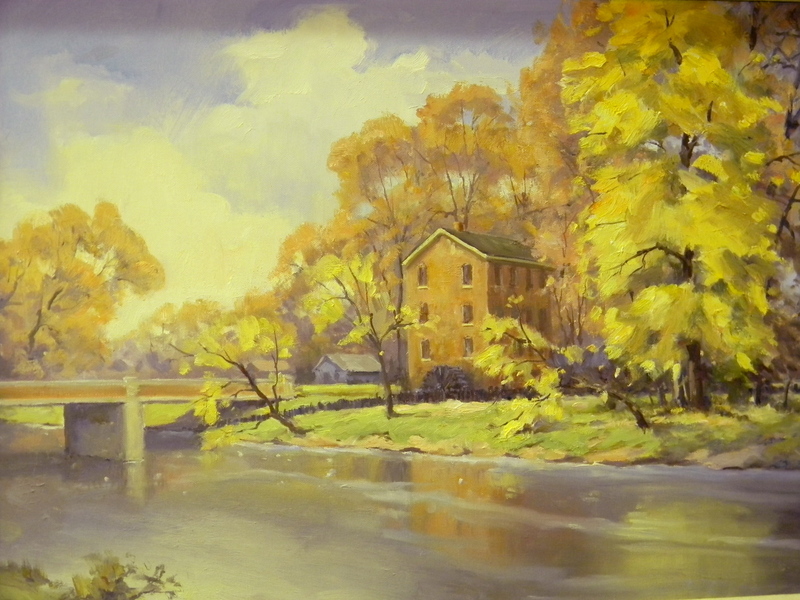 The yellow light in this painting tells us just what kind of day it is. The snow is heavy and the air is wet. Another snow shower is on its way. Here is an early portrait of the artist’s wife Dorothy, painted after the couple was first married in 1962. Max’s use of the palette knife gives this small portrait a distinctively decorative look. 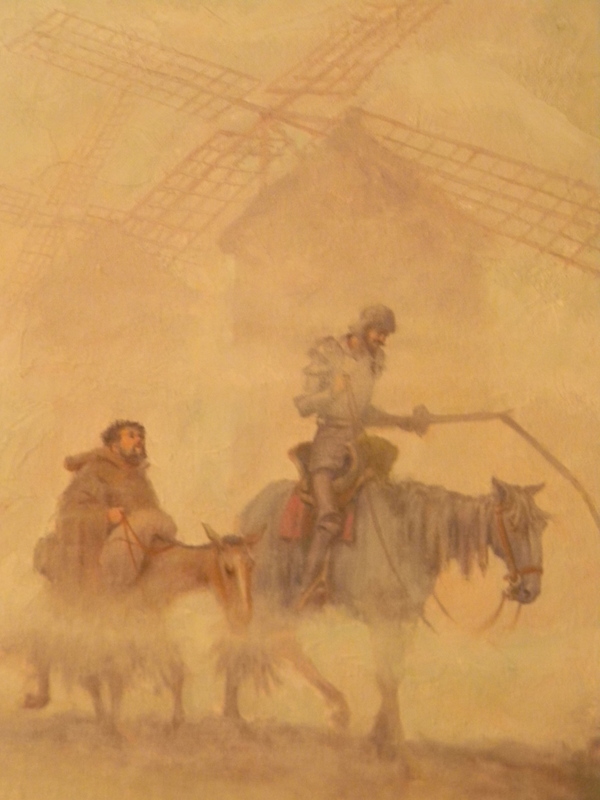 This painting is a family favorite and hangs in the artist’s home. It is possible to find a dairy farm in Wisconsin with cows other than Holsteins. 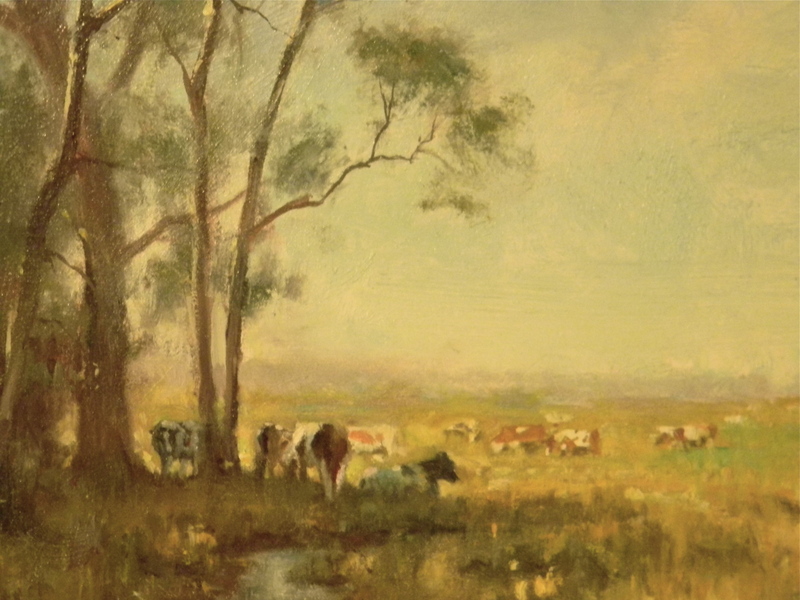 This stretch of pasture hosted a herd of Guernseys, and Max made several paintings, playing with the patterns they made both in and out of the light. 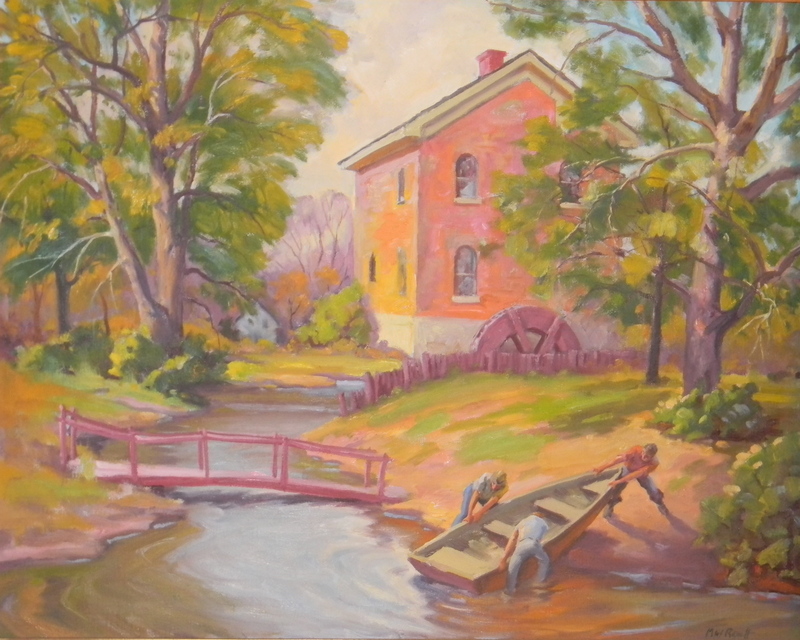 Max Ranft has used the Graue Mill as the setting for a number of paintings. 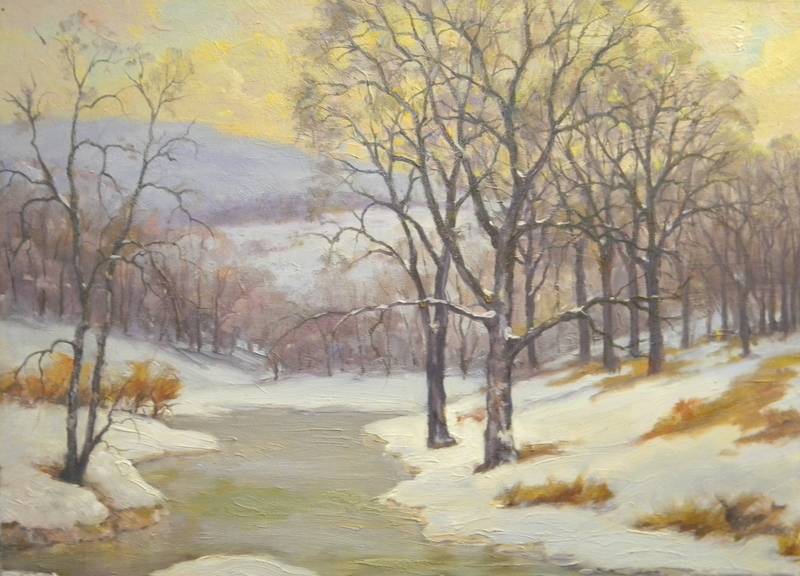 He adjusted the landscape components to fit his composition. The painting above includes the addition of a boat and three men. 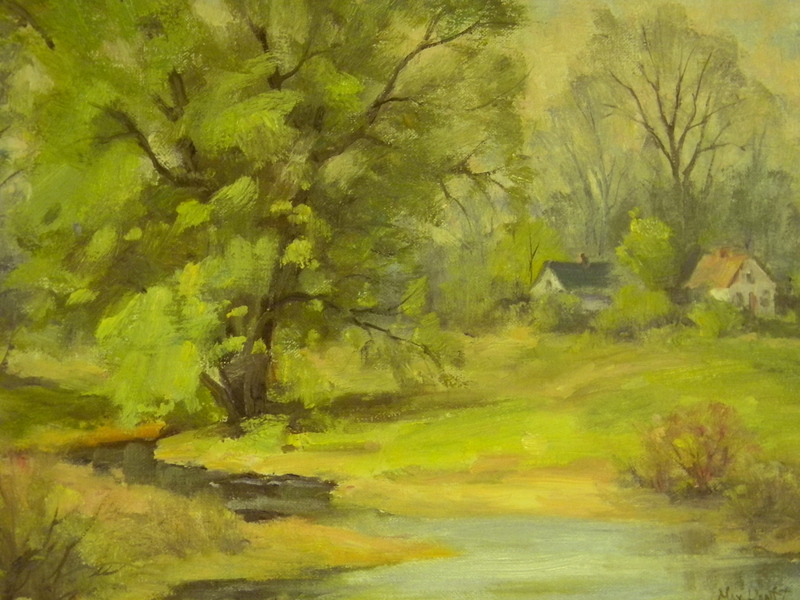 In the painting below, the river is broad and prominent. Notice that the mill is three stories high. Both were painted in the 1990s and are privately owned.